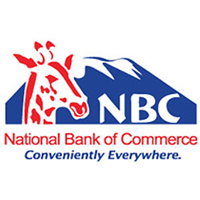 Home / JOB VACANCY / VACANCIES ANNOUNCEMENT AT NATIONAL BANK OF COMMERCE (NBC) BANK TANZANIA. VACANCIES ANNOUNCEMENT AT NATIONAL BANK OF COMMERCE (NBC) BANK TANZANIA. Ensure effective selection, development, and deployment of operations staff to meet ongoing priorities and competency demand from the business functions. Experience of working in a multinational, multi-segment environment with matrix reporting awareness of cultural differences and varying legal/ regulatory environments. Credit executive representative on Country/Management Committee(CMC) and Board Credit and Audit Committees. Working to ensure that the country strategic objectives are delivered within the risk appetite framework set by the board. Accountable for ensuring the right people, processes, policies, systems are in place to achieve cost-effective and efficient credit management within the country that is aligned to strategic objectives and risk target operating model. Drive the credit training plan across the functions to ensure the training and development needs are actively managed. Set challenging objectives and ensure effective performance development and succession planning for the team. Drive an environment of added value where everything is done to add value to ensure business unit delivers a service which is truly adding value and is seen as key to the business delivering against stretching targets. Responsible for delivering consistent and timely credit risk decisions.